Cupcakes seem to be all the rage latley so it makes perfect sense that we would find a Gingerbread cupcake to share with you all! 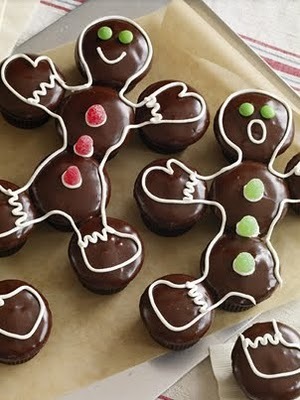 On the Duncan Hines website you can find a really yummy recipe for Gingerbread chocolate cupcakes. Details Here.